Rain gardens, meadows, and green roof design are all critical parts of this complex site. 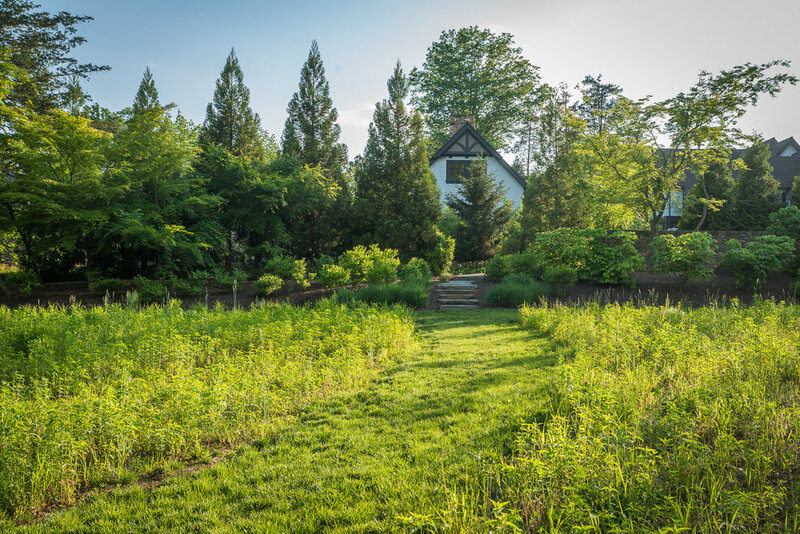 Given a large building program within a relatively small site, much of the structure is below grade, requiring part of the lawn and gardens to occur over a green roof system. These plantings blend seamlessly with the adjacent terra-firma landscape and conceal the fact that a structure lies below. 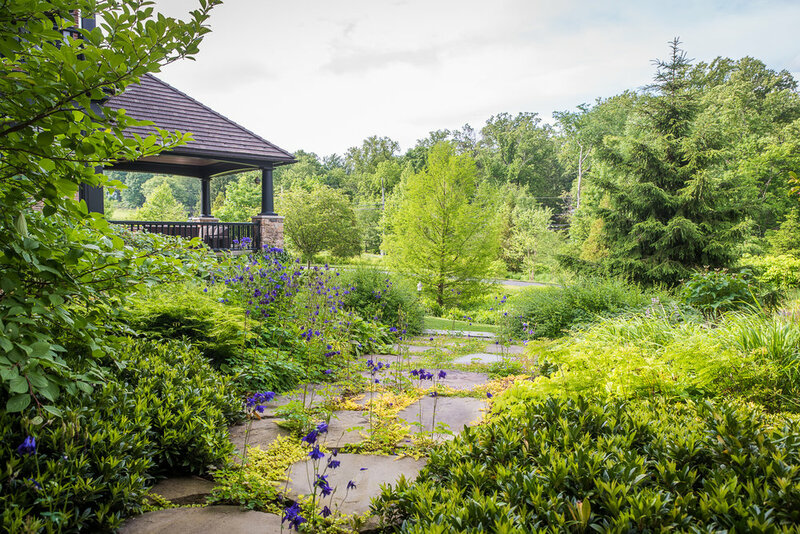 Rain gardens capture and cleanse runoff from the building and paved areas and are integrated into a larger meadow in front of the building. 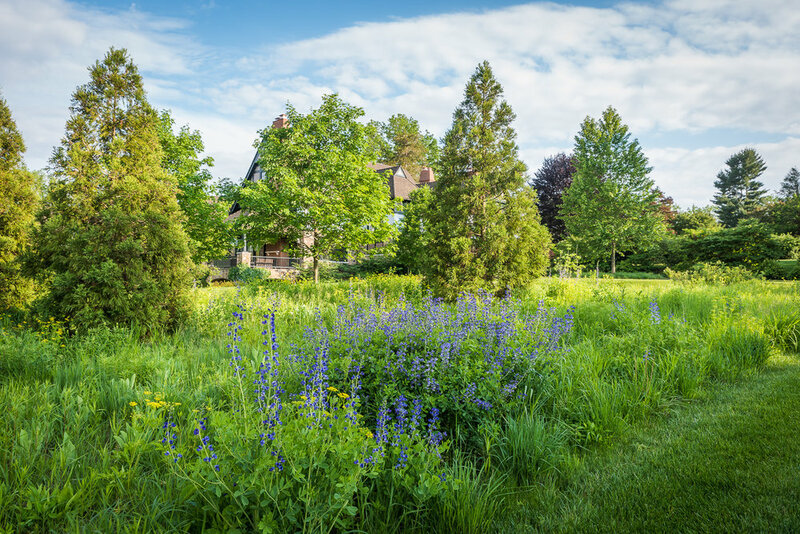 This meadow provides a lush, layered foreground that buffers the building from the road. 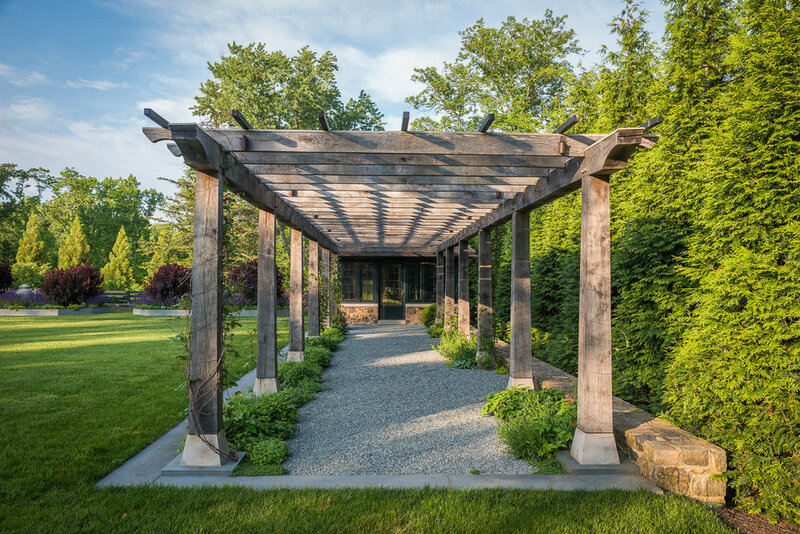 Dense plantings and outbuilding structures such as the pergola create a sense of enclosure and provide privacy from nearby neighboring homes. These elements are designed using native vegetation and regional materials to make the building feel as though it has always been part of the surrounding historic town.